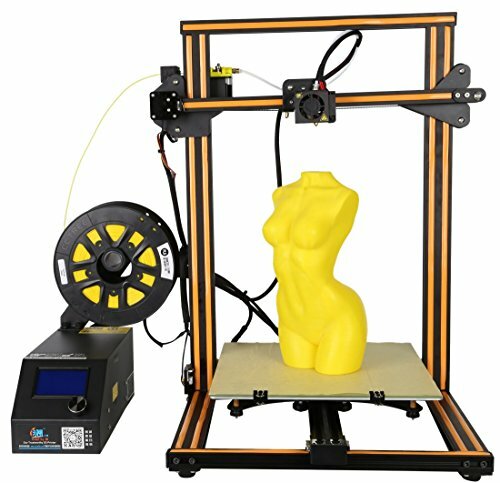 Recommended material:High quality PLA of 1.75mm diameter, ABS, TPU, Copper,Wood,carbon fiber, and so on common consumables on the market. Extruder：New MK10 nozzle patent extrusion structure, not plug and can print almost all printing material on the market. Heat bed: Industrial grade aluminum alloy platform & special tempered glass to ensure the formation of flat and to prevent wear and tear. Easy to take out the model.